Happy Wednesday all!! I hope everyone is having a wonderful week!! I wanted to remind you it's the half way point for the window challenge. All you have to do to enter is create a project with a window. 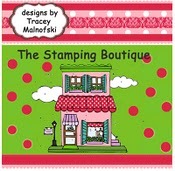 You could win 2 images from The Stamping Boutique!! My creation uses 2 stamps from My Time Made Easy. I'm not sure if you can tell in the picture but the window is popped up. We'd love to see what you come up!! Other Happenings -- check the side bar for current challenges. We will also be announcing the March Monthly contest winner and the April challenge soon!!! Hi all! We're halfway through the stair step card challenge. You still have time to enter! This sweetie is from the Whiff of Joy spring release. I used flowers from a bunch I'd gotten at Michaels - I cut the backs off so they'll glue easily. We have a lot of great challenges going on at The Latte Lounge. Check out the sidebar on the right! "Some Beauties That I Found In The Gallery"
Good Afternoon To All! Are you glad it's Friday? Do you have weekend plans? Hmmm... I am glad it's Friday, no real plans for the weekend... but hoping to get out of the house and maybe do some retail therapy! LOL! Who's with me? I was taking a journey through our gallery of creations and I found some beauties that I had not seen before! Can you believe that? I just don't know how I could have missed them! So that is what I am going to share with you today! Aren't these just beautiful? I had such a hard time just picking a few to share with you! We have SUPER TALENTED MEMBERS! I just LOVE taking a trip through the gallery! It ALWAYS makes me feel better to see all the wonderful inspiration! I hope when you are down, feeling blue or just in need of some COLOR and CREATIVITY that you will take that trip! I am POSITIVE that you will be motivated to do some creating yourself! First of all, THANK YOU to everyone who stopped in to visit with us last Saturday for our Digi Day! We had a great time planning and putting it together and we're so happy that so many people were there. The games were a huge success and there were lots of terrific entries in our challenges!! Secondly, I would like to say THANK YOU to our AWESOME sponsors one more time! It was so great to be able to offer such a great variety of prizes to you! Finally, here is the news you're looking for! The winners of the Digi Day Challenges!! hosted by Jennifer, sponsored by DtsArt. Please visit the shop at DtsArt and choose 2 digis. Contact Stacie with your choices and they will be sent to you! Congratulations to all our winners and THANK YOU to everyone who entered!! and a special THANK YOU to Tracey. Melissa, Jennifer, Rhonda, Sara and Stacie: it was a great party! Thanks for all your hard work putting it together!! It's time for another challenge at The Latte Lounge. I'm calling it the window challenge. I know real orginal name there!! Your project must include a window on it somewhere. You can cut a window or use a window image!! You just have to make sure there's a window!! You'll have a chance to win 2 free digi images from The Stamping Boutique!!! Remember you have until midnight tonight to enter our Digi Day Challenges as well!!! Be sure to check our sidebar for links to all our current challenges!! We're starting a new Swap Club! Our first month, we're going to swap ribbons. You send in 1 yard pieces from your stash and get some all new ribbons to play with. A low cost way to get new crafty goodness. Check out the group for details and questions. Hello all! Jen here. It's time for a new challenge. This time, we're trying our hand at stair step cards. Peanut and I both used the same images - Theater Audrey and the Theater background. The challenge is open until April 4th and the winner will receive 2 digis from The Stamping Boutique! Here's Peanuts card. She cut Audrey out herself! You have until Wednesday to enter our digi day challenges. Check out all the challenge details in the right sidebar! "Today Is The Day Y'all Have Been Waiting For"
"THE SPRING FLING DIGI DAY"
If you don't have time to RSVP with the link above, that is just fine... Come on over anyways! We will have Challenges, Chatter, Games, and Prizes! I hope that you will be able to attend and join in all the fun! I am so excited, I can't wait to see you there! Hello! Are you ready for a new challenge at The Latte Lounge? This time around I am asking you to make a bookmark card. I have seen a few ways to do this and there are some tutorials on Splitcoast Stampers. The challenge will run for two weeks so you will have until March 31 to enter. The prize will be 2 images from The Stamping Boutique. This next one has a corner bookmark you put on the top right corner of the card. I hope you'll all play along. I can't wait to see all your creations. 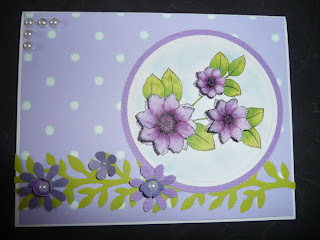 Stacie has a tutorial challenge going until March 19. Jennifer has an animal challenge going until March 20. The Monthly challenge is to make a creation with an Irish Theme. Also don't forget we will be having Spring Fling Digi Day this Saturday, March 19 from 8pm to 10pm EST. Hope to see you there. Hello all! Jen here again. We're halfway through the Animal Challenge and we've had excellent entries so far. I hope you'll join us too. For my card today, I've used An Uncommon Friendship by The Stamping Boutique. I colored the image and then covered it with Glossy Accents to make it look like you're looking into the water. I tried my first circle easel card. There are a lot of wonderful challenges going on at The Latte Lounge - check out the helpful sidebar on the right. We're having Spring Fling Digi Day Saturday 8-10 pm EST. We'll see you there! "Rambling Thoughts and Current Events"
Good Morning Ladies! It's Friday, I am so excited! How about you? It's my day to post today, so hold on to your seats! LOL! I have lots of thoughts in my head and some current events to share with all of you! Lets see, if I can put some order to all of this chaos in my brain... LOL! Our newest Journal Newsletter just came out yesterday! It was jam packed with all the wonderful things that are happin' at The Stamping Boutique and The Latte Lounge! And a FREEBIE image by our very talented owner, Tracey! Way to go Tracey, you are one TALENTED Artist! Oh I almost forgot, in each issue we get to learn about each of the Design Team Members, this time it was our OWN... Stacie Gorse and Amanda Newton who you see in here on a regular basis! Wow, it is so nice to get to learn about each of the wonderful people that you are creating with! April Lower, is in charge of the Journal Newsletter... She is doing a fabulous job! So if you have NOT signed up for the Journal Newsletter yet... QUICK... Get signed up here on the sidebar! TRUST me, You DON'T want to miss anymore issues!!! We have two NEW Additions here at The Latte Lounge! I am so honored to introduce them to you today... (drum roll please!)... "Stamping With Brenda" and "Get Hippity With Ippity/Join The Unity Community"! Wooo Hooo! Brenda Dean is the owner of "Stamping With Brenda" and Aletha J Williams is the owner of "Get Hippity With Ippity/Join The Unity Community", they both have so many wonderful things to share with us! You will want to jump on over and join their NEW Groups! We have many other Support Groups here, that you can join and meet new people, that will BLOOM (can you tell I am ready for Spring?) into wonderful friendships! So don't be afraid, click the GROUPS TAB and Check out as there is to be apart of!! If your MOJO is LOW or your GET UP and GO; GOT UP and LEFT... Go on an ADVENTURE though our MEMBERS GALLERY! You will be Inspired, Amazed, and Wondering, HMMM... how did they do that?!? At least that is what happens to me when I journey through all of the Wonderful Creations and Talent that we have here at The Latte Lounge!! Okay, enough rambling; I BET you are ALL ready to get out of my head! LOL! I hope you have a Wonderfully Creative Weekend! It's time for another challenge at TLL. For the next two weeks, I challenge you to use the colors pink, orange, and yellow on your project. The prize will be 2 TSB digi images of your choice. Here's my sample using one of the new Emo girls at The Stamping Boutique that was drawn by Tracey's daughter Kalie. I can't wait to show you the princess in this line as well. Also don't forget to put our digi day on your calendar!! Finally, be sure to check out all the current challenges on the side bar. Sara has done a wonderful job of setting it up so it will keep you up to date on not only the challenges at TLL but those being done in the various groups at TLL as well!!! Have a fabulous day!! Thanks for coming by!! Hello all! Jen here. I'm hosting a new challenge for the next two weeks - animals. Peanut has made a card using Pocket Patootie Monkey from The Stamping Boutique. She got new Crayola markers this week and is very pleased with them. We have a lot of fun going on at The Latte Lounge. Join us March 19th (Saturday) for our digi day. This month's challenge is Everyone's Irish. Rhonda is challenging us to decorate the inside and outside of our chards. Stacie has chosen a great tutorial for us to try. You still have a couple days to enter Melissa's sketch challenge. Here's a card I made using Pocket Patootie Frog and this tutorial. Happy Sunday all!!! Wanted to tell you about some exciting happenings at The Latte Lounge this month. First we are having our monthly Digi Day on the 19th. We will be having lots of challenges, prizes and fun!!! Hope you can make it! MARCH MONTHLY CHALLENGE - In March, everyone's Irish!! :-) All you need to do is create a project (card, layout, altered item) with an Irish theme. It's a perfect chance to show off your fabulous St. Patrick's day projects. This challenge will end at midnight on March 31st. The prize will be a box of papercrafting goodies!! You'll find our other group members' various challenges listed on the right side bar. Be sure to play along!! 03/09- 03/23 – Color challenge – orange, pink, and yellow -- the link will be posted when the challenge begins. OK I think that brings you up to speed for now. Be sure to stop in and check the side bar to learn about all the fun challenges at TLL!!!! Hope everyone is getting a little time to P-L-A-Y!! It's time for a new Saturday challenge at the Latte Lounge. This week, I have chosen a Tutorial from Splitcoast Stampers called a "Wiper Card". This is a fun and easy card to put together and only takes one piece of card stock and a few small scraps for decorating/embellishing! When it's closed, it fits into a standard A2 size envelope! Pull out the sides and the little tab pops up, like a windshield wiper, hence the name "Wiper Card"! I think this is a fun and easy challenge and it would be great practice to do a card that's just a little bit different than a plain, ole' regular rectangle! 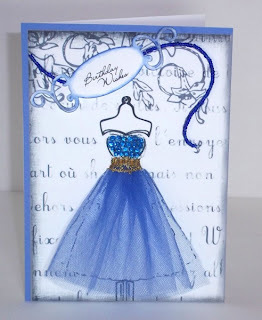 For my card, I chose to use the "Relax... Set" which is available at The Stamping Boutique! There are SIX separate digis in that set! I have used 5 for this project (the sentiment, the tub with Princess Jennifer Latte, the bar of soap, the towel bar and the lotion that pops up)! It's a great time to shop TSB! and Tracey has released all KINDS of new and amazing images! 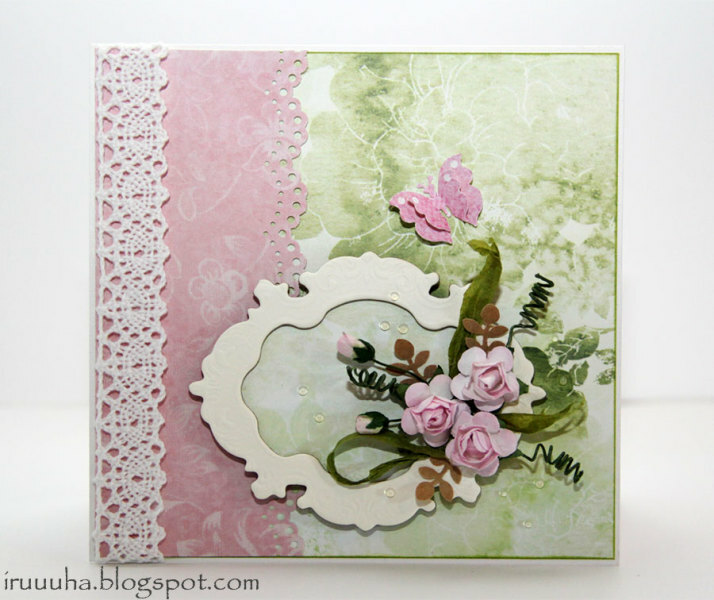 While you've got The Stamping Boutique on your mind, take a look at the TSB Challenge Blog. We're having a different kind of Blog Hop... you only have to hop to ONE place! Our DT has created a variety of projects for your viewing pleasure. If you choose to VOTE for your favorite, you'll be entered to win!! Good morning! I'm a day late posting this, but it's been a hectic week here. I hope you're all ready for another challenge at The Latte Lounge. I'm hoping for another good turn out. This time around I'm going to have you finish the inside of the card as well as the outside. I alway forget to do this. You will have two weeks to enter, so the challenge will end March 17. 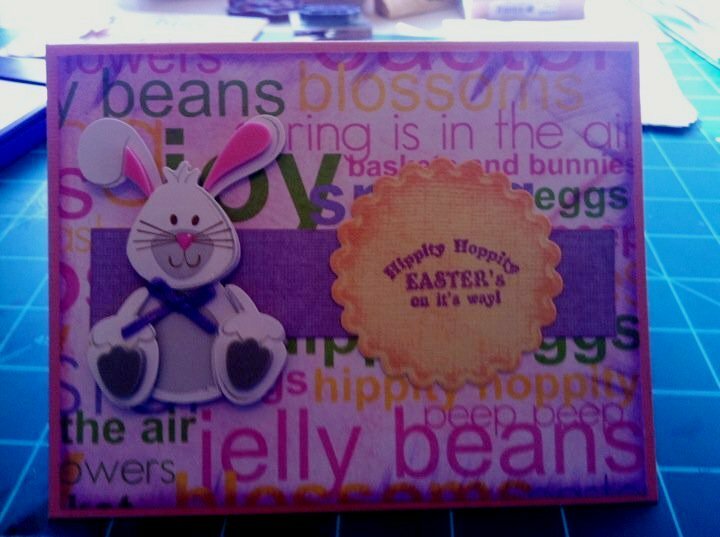 The prize is 2 images of choice from The Stamping Boutique. I hope you'll all play along. Have a great day. Short Biography - I am Berenice Rendón. I am 30 years old. I have a bachelor's degree in Marketing, I love everything related with paper, crafty supplies, stamps and digital images. Along with a nice friend in 2010 we opened our own company: Karber Digital Images. How did you get started in paper crafting? I wanted to make a special card for a friend, then I looked for ideas and shortly I started a blog where I share my creations with other card makers. What is your favorite paper crafting company? 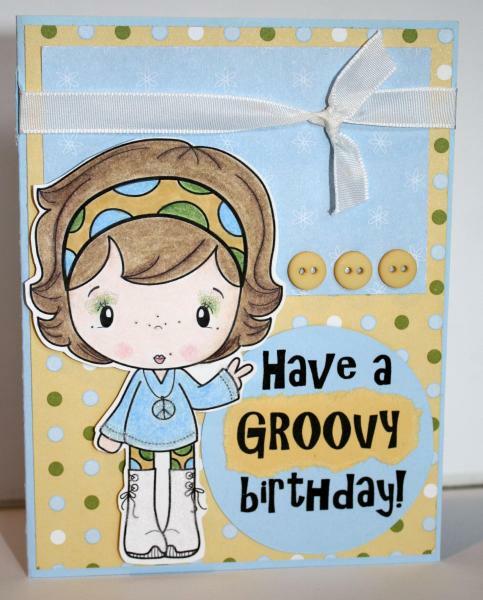 Doodlebug Design Inc.
Karber Digital's is definitely one of my personal favorites!! I hope you'll not only stop by Berenice's blog, Sweet Escape, but also her fantastic store! !